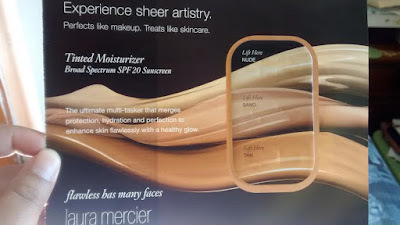 I decided to go through my old magazines to find articles that I may want to keep when I discovered this Laura Mercier Tinted Moisturizer Sample in three different shades! I decided to try to see if this sample was compatible to my skin tone!! I smoothed the lotion on my lower chin up to my cheekbone and waited a few minutes to absorb into my skin properly before judging the results! I like seeing that this brand has several shades of tinted moisturizer instead of "three shades" since women of diverse ethnicity are not limited to "three" skin tones! 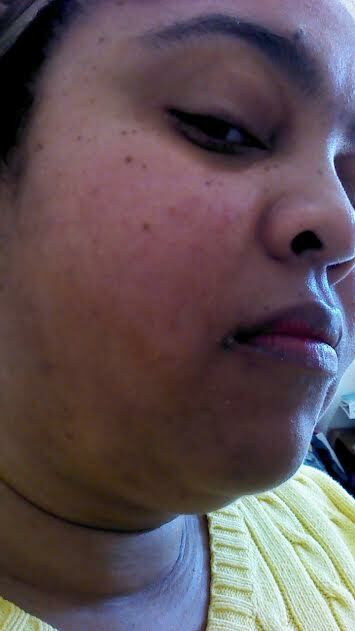 I know this not the BEST picture to show my tinted moisturizer sample (more for a Proactive ad!) but it did cover my imperfections without a heavy foundation feel because on some days I want minimal coverage on my face! Plus, it has 20 SPF Sunscreen for sun protection and my skin felt hydrated as well! Although I like "TAN" I would like to go where Laura Mercier is sold and also try the "CARAMEL" to see if that is my perfect match for the tinted moisturizer! What is your favorite Laura Mercier cosmetic? I haven't tried anything from Laura Mercier but heard a lot of good things about the brand. I love tinted moisturizers, great for every day wear. Thank you! Sometimes I want minimal makeup feel instead spending 20 minutes! That's the struggle. Being ethnic, it's so hard to find good products that cater to your skin tone. 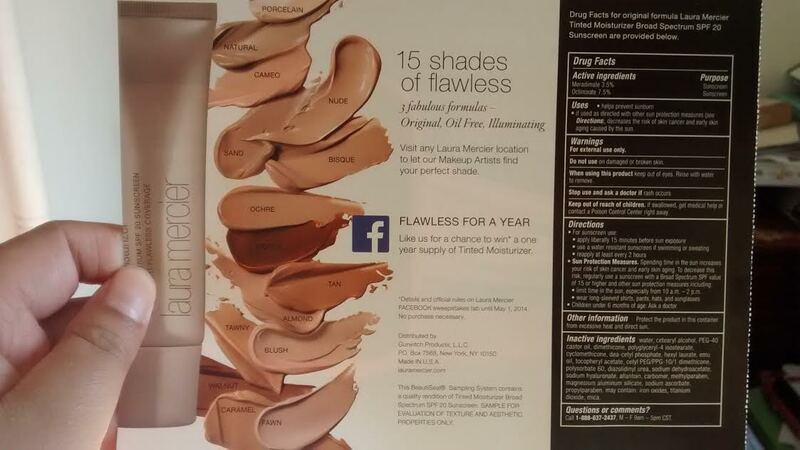 I've read so many great reviews about this, but I've never tried it because there isn't a shade for me. It looks pretty good on you though. Have you tried Iman's line? She's got a few more shades to choose from. I'm actually a really big fan of Laura Mercier and have a lot of her cosmetics. My favorite is a tie between her gel pot liner (in espresso) and her fairy dust eye shimmer in crushed lapis. Thank you, Lisa! I have tried LM creme brulee bubble bath that I found at my favorite consignment and now that I got eye liner via Birchbox so I slowly gaining a small collection!